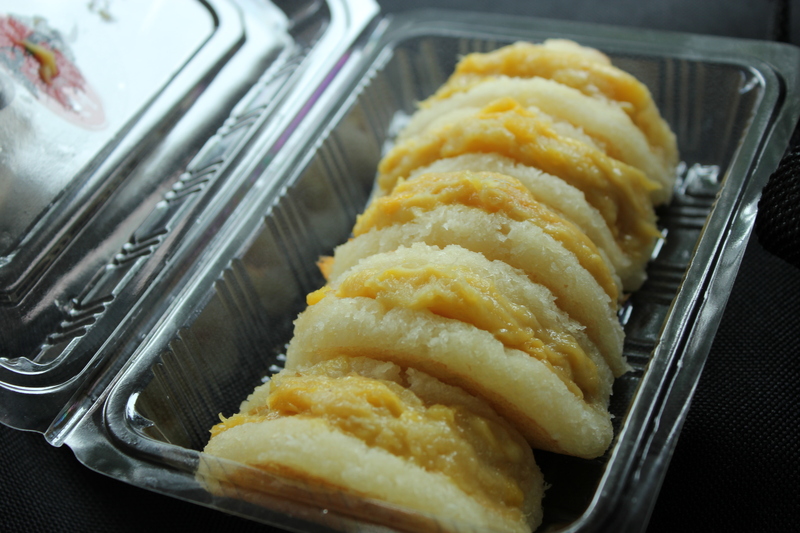 Chase away those monday blues, have some tapioca kueh! I love any type of kueh- machine-made, hand-made whatever. My standards for kueh are really low, I buy them from the most random places because when the craving comes, it must be fulfilled! 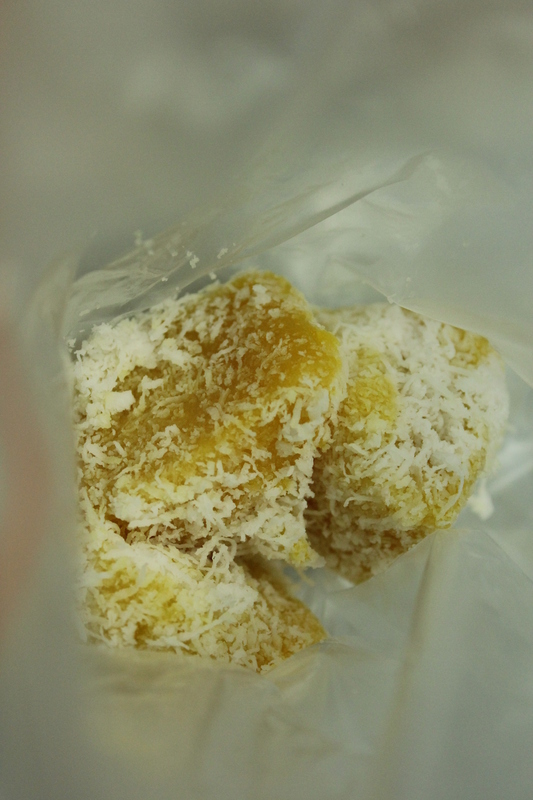 Out of the world of kuehs, my favourite would have to be the steamed Ubi Kayu (tapioca kueh). Soft and fall apart tender, this particular tapioca kueh shown above is not too sweet (much to the delight of the parents) with nuances of coconut fragrance due to the freshly dessicated coconut it was tossed in. The kueh is so delicious that I easily wolf down a few pieces at a go. While you can find this in bengawan solo, the ones you see above are the best I have eaten so far. They are handmade (not surprising at all) by the stall owner’s wife. This stall is located in bukit timah plaza and if i’m not mistaken, it’s located on the second floor near to the escalator. No worries, you won’t miss it especially during lunch time. I can’t remember the name of this but I remember they were balls of tapioca mixed with stuff. It was too dense and starchy for my liking, definitely not something that will appeal to a lot of people. 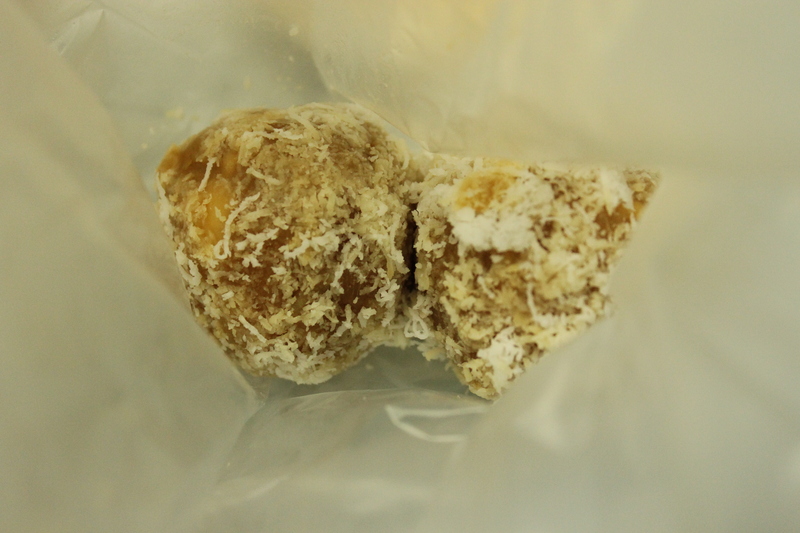 Alot of people love oneh oneh because of the gula melaka inside, but I don’t because gula melaka is too overpoweringly sweet with an acquired taste to it. I really don’t mind that unique taste, but seriously, it’s far far too sweet especially in its liquid form. However, this stall does an awesome rendition of oneh oneh by soaking dessicated coconut in some liquid gula melaka and using it as a filling to the kueh. 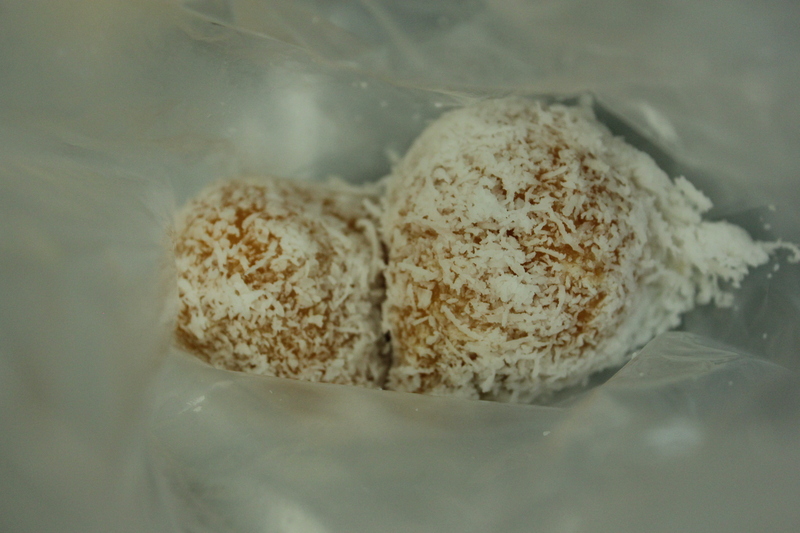 The result is an easily acceptable sweetness bursting with coconut flavour. And with the fantastically tender skin, (something that differentiates commercial ones from handmade ones!) oneh oneh cannot get any better than this. I recently found so many hidden gems in Joo Chiat! One of them is Dbun (358 Joo Chiat Road) which sells steamed baos and tapioca kueh. Upon entering, I saw a man standing by a metal plate with small rounds of tapioca kueh on it. Each piece is smeared with D24 durian pulp, folded into half and neatly packed into a plastic case. We bought some freshly made ones sitting on the counter and immediately ate them in the car. I love the fibrous texture of tapioca and the subtle sweetness it brings. And I am not very sure if there is coconut milk (though there probably is as with all kuehs) because of the overpowering durian. No cream nothing, this durian pulp is 100%, painstakingly removed but it’s all worth the effort! Slightly chewy, sticky tapioca kueh with creamy, unadulterated durian pulp is a truly wonderful combination. 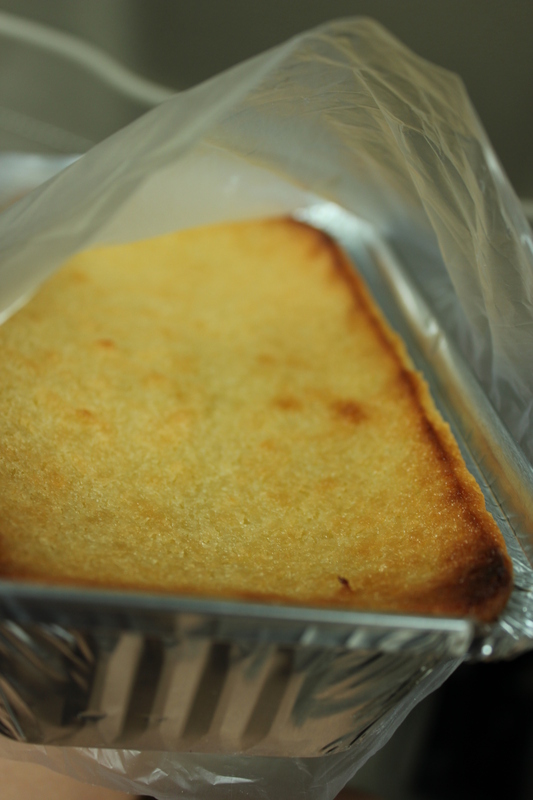 No less worthy of mention is their freshly baked tapioca kueh. On hindsight I should have tried it when it was warm but nonetheless it tasted wonderful chilled. Very very sticky but I didn’t really mind peeling off the remains from the aluminium foil tray. The best part is that I can taste both the sweetness from the tapioca and the fragrant coconut milk used. Just had it for dessert and I’m already craving for more! Most people don’t really eat tapioca kueh but I love it for whatever reason. Maybe its the fibrous texture and the subtle sweetness afforded by this root vegetable that makes me so attracted to it.